**** NEWSFLASH*** *Kids stay free during term school holidays! (Except Public Holiday Weekends, Dec/Jan Holidays). Tripadvisor Excellence Award 2013, 2014 and 2015. Pack up the kids, hit the highway and head north to Matakana and stay in a bach on 30 acres of vineyard and olive grove in the heart of Matakana wine country. Escape to Matakana. 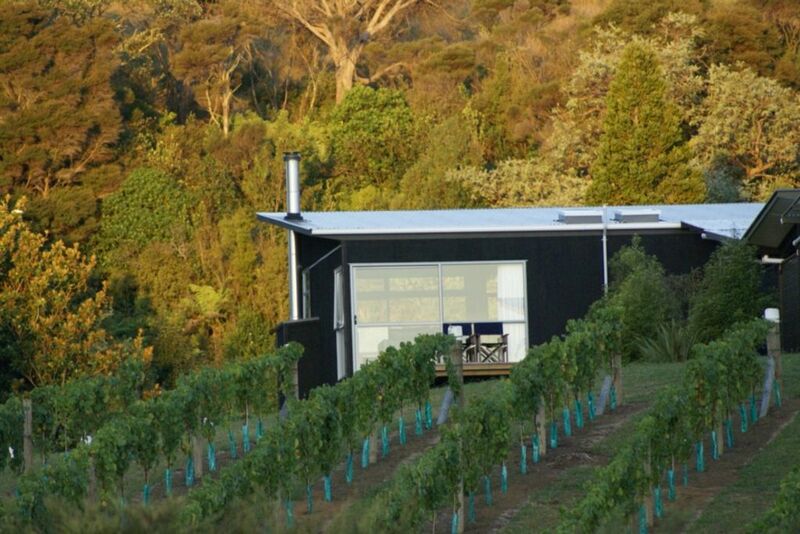 Have an early spring break and getaway, Just 45mins North of Auckland City. Plenty to see and do, or unplug, relax, restore and retreat. Luxury Kiwi bach with 2 bedrooms, 2 bathrooms and attached sleepout. The bach has an equipped kitchen, spacious living areas, bbq and north facing decks. A relaxing rural retreat for families, groups, leisure or corporate. The Conference Lodge and venue is the perfect setting for corporate retreats, functions and special occasions. Complete with tennis court, swimming pool and petanque court on site there is no need to leave. Stayed at this property for 2 nights in late January and loved it. The design is simple but spacious and beautiful. There is a master bedroom with an ensuite and a separate Queen bed in the lounge area, which comes with its own bathroom. There are 2 lounges - one main lounge with the TV and another smaller one by the master bedroom next to the dining area. The ranch sliders and windows by the deck are great day and night - either with the sunlight or the moonlight streaming in. The deck is of a generous size, complete with a table and deck chairs and a bench. The view is magnificent, overlooking the property, which includes the vineyard and a river. The usual bathroom amenities such as shower gel, shampoo, conditioner and hairdryer are provided, along with a good sized kitchen, complete with a microwave, fridge, utensils and an electric stove. Check in and check out was simple, with extremely friendly and helpful staff. The location was brilliant - a 5 minute drive from Matakana Village or a 15 minute walk. It can get a little dark at night walking down Green Road, towards the property, so if you are walking be sure to bring a torchlight or have a phone that has a torch function. I highly recommend this property - it is great value for money, central enough to Matakana Village but still tucked away with enough privacy. Perfect for small families, couples or friends. Thank your for your lovely review. We are delighted you enjoyed your stay with us at Riverside Matakana. Please come and visit us again soon. My family and I had a lovely time! My family and I had a lovely time! The layout was wonderful and location was great and close to so much! Wonderful property with stunning views of the valley. Wonderful property with stunning views of the valley. Highly recommended for couple or family stays...absolute bang for your buck! Great location too as it is within a few minutes drive from all the main attractions. Very happy with our stay. Beautiful place to stay. Stunning scenery and the baches are beautifully designed. Would love to return.